Confession: I don't read book summaries before I read the books. I prefer to go in with zero expectations. And since THE 5th WAVE is so jammed packed with twists and turns and surprises, I decided to skip the traditional format and include the publisher's summary after my review instead of starting off with it. Trust me, THE 5th WAVE is one book you want to go into knowing as little as possible. This book. Oh, this book. THE 5th WAVE is a unique and gritty blend of sci-fi (yes, there are aliens, but that's all I'll say!) and dystopia with the perfect amount of heart and suspense. With lightning fast pacing and not a word to spare, THE 5th WAVE consumed me from page one. I had no idea where the story was headed or how it would end. My writer nose couldn't sniff out the twists to save my life. And I loved every minute of it. The main character Cassie is a fighter. She's fierce and determined in a way most of us could only dream of being in the face of such danger and hopelessness, but she wasn't always this way. The snippets of Cassie's past are sprinkled in at just the right times, allowing us to relate and see how much she's changed and why, and what's motivating her. In fact, Mr. Yancey does this with several characters in a way that keeps the reader guessing up until the last sentence. They make mistakes. They're flawed. You can't help but root for them every step of the way. And the way he weaves their individual stories together--genius. 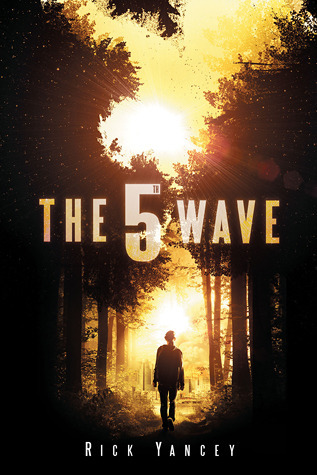 THE 5th WAVE is five star perfection, a book that lives up the hype. My only complaint is having to wait until next year to see what happens next!